There are some things that seldom get noticed in a home when these have a good presence and generate a good feeling. However, it can become hard to perform daily tasks if the lighting is not good. You would notice the lighting immediately in such a situation. Lighting is chosen for its ambience, task, and aesthetics and for a better visibility in home. 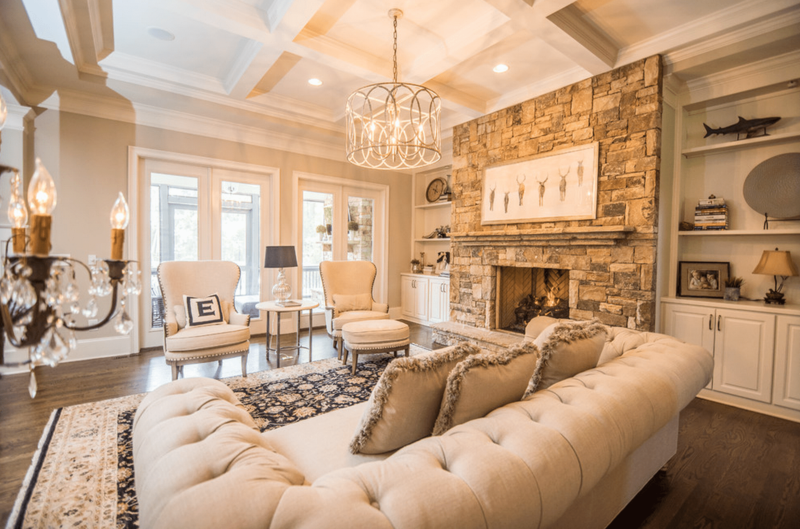 Homeowners require thinking about the various lighting qualities they want in their home. Read on further to get some tips for choosing and creating perfect lighting in your home for your family. What are your lighting goals? Task lighting: This is the lighting meant for space where you are trying to work. On the other hand, in order to enhance the ambience of a place, indirect or ambient lighting is chosen. Determine the mood that you want to set in each of your rooms alongside the functionality you require of it. Lighting for security and safety considerations: While choosing lighting fixtures for places like walkways, sideways or the front entry of your home, you need ambient lighting. Keep in mind, dim lighting would welcome the intruders. On the other hand, bright exterior lighting may disturb the neighbours. You need to think of diligent solutions. For example, you may consider installing motion-sensitive floodlights around the exterior corners of the home. One can also take clues for the aesthetic choices and security features installed in your neighbour’s home for an improved lighting system in your premises and the surrounding areas. Lighting for decor: One does not want that the outdoor lighting serve only utilitarian purpose. Rather it should provide washes of light against the exterior walls of the home for creating ambience during the evening hours when these are lit. Opting for lighting accessories from a well-reputed brand like Sunpan provides you great decor options with utility features. Choosing the directional sconces, which point upwards or downwards while focusing on the architectural elements of your home’s exterior and serves well to enhance the look of your home. You can use the lighting element for drawing attention to the planting as well as the exterior niches present around a home. Use of multiple light sources for single space: Multiple light sources are of tremendous help in achieving a variety of functions and activities in space. For example, you can get great functionality with the counter lights in the kitchen can provide for great task lighting. In a living room, get a floor lamp on the corner of a couch or your reading chair. In the bath spaces, the light at the mirror must be free from the glaring effect and shadows. Recessed lighting for modern home decor: ‘Can’ light fixtures, which are inserted in the ceilings with the help of, can present can be used for rendering subtle and directional effect. One can connect these to the dimmer switches for having a complete light range; right from subtly dim effects to the full brightness for illuminating a room. In children’s rooms, plan of the lighting requirements should take into account different factors. While the lights should guide parents through the dark room, but these shouldn’t scare small children especially while they are sleeping.